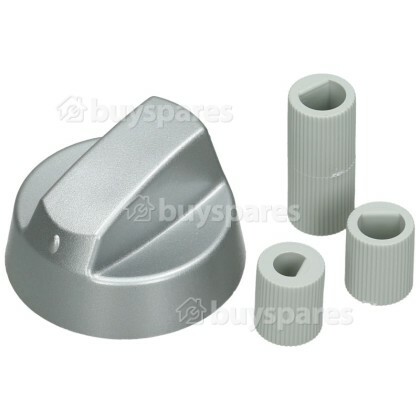 Replacement silver knob with three different sized spindles to put you back in control of your cooker! The control knobs that are located on your control panel fascia are used heavily, and tend to need replacing long before other parts. One common cause of replacing the control knob is residue and grease tend to build up behind the knob, which makes it hard to turn. 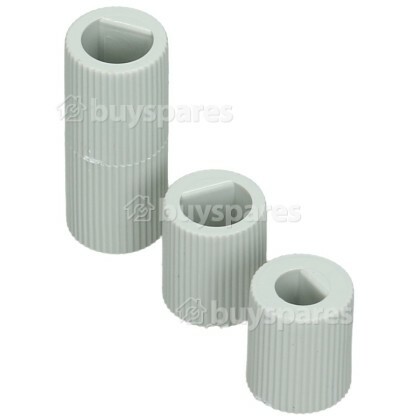 If the original replacement is no longer available, then this universal control knob is available to help you get your appliance back to looking its best. 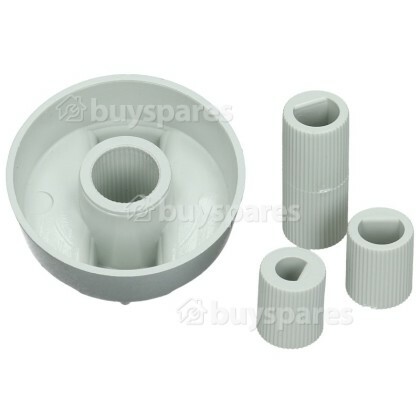 This replacement control knob has a diameter of 42mm and comes with three different sized spindle adapters, making it an ideal spare part to fit all makes of Cookers, Ovens and Hobs. To use simply chose the correct spindle that fits onto the control knob shaft, then line up the knob to the correct marking.